Elegant and High visual appeal. 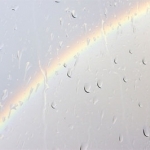 Unlike wooden windows, these windows are water and air tight to various EN standards. Being air tight and possibility of using upto 35mm thick glass, give better possibilities to use glass combination suitable for noise reduction. What you see today, you will see years later, unlike other products, which will pale, warp, fade and deteriorate. Casement Windows, Fixed Window, Swing Doors with flyscreen options. 50×50 Section size. Lift and Slide, heavy duty system with Thermal Break. Smoothest operation, multipoint locking, max glass thickness 35mm and upto 300 Kgs panel weight. Sliding system with max 24mm thick glass and 200 Kgs panel weight. Economical and sleek design with high aesthetics. 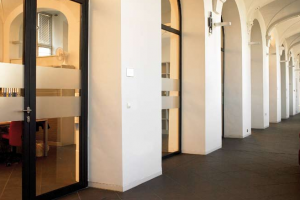 Sliding System with minimal section vision and max glass panels. Expensive but rich look. Max glass thickness 45mm with max panel weight 400 Kgs. Suitable for large openings and large sizes panels. 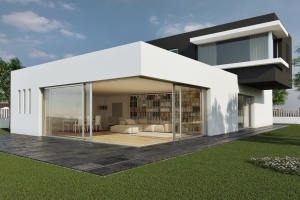 LUMEAL Minimal, 100mm module, is a minimalist sliding system with a concealed opening sash. Its minimalist design ensures an 8 to 14% gain in glass surface area depending on the application. 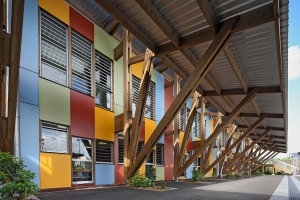 Constructed on a 46mm module, the non-thermal break range TOPAZE is the ideal system for external composite frames in hot climates. 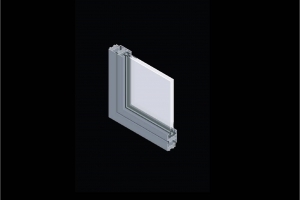 Designed from a 55 mm module with glass thickness capacity of up to 42 mm, SOLEAL is available in two casement styles: Minimal and Visible. Safetyline is a louvre system dedicated to residential market and commercial buildings that offers comfort, design and performance. Very popular in the tropics, these blinds fulfil a vital role in ventilation, occultation and sun protection. 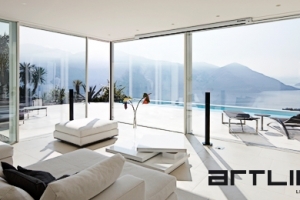 The new AMBIAL folding door creates a full opening to the outdoor, allowing to enjoy a panoramic view, letting natural light flowing in. 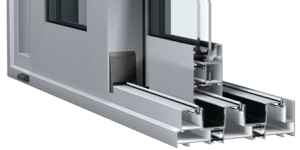 The TOPAZE 20 mm is a complete range of traditional sliding systems with 1 to 4 tracks for the construction of windows or patio doors supporting leaves weighing up to 140 kg, with glazing from 5 mm to 20 mm thick. 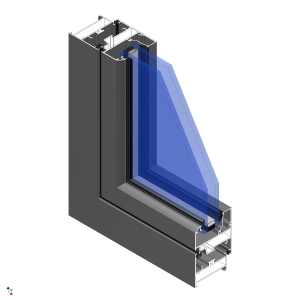 The SOLEAL range is available in many applications: 2 to 4 tracks, from sliding-sash pocket window to 3-track composite pocket window frames, internal or external corner solution, composite frames. Doors can be inside/outside opening with single/double shutters or swing/180 degree door combination along with locking facility. Thermally Broken Doors and Windows System in 60mm width and various option. Imported Profiles and hardware. Aluminum , Wood or UPVC Windows? What is the difference b/w upvc windows & sapa windows? UPVC Stands for – Unplasticized poly(vinyl chloride), essentially a plastic material which does not have a structural strength of its own Vs Aluminum which has structural strength of its own. You can get various finishes in Aluminum where as UPVC has limited finishes. How much height window we can fabricate without using any member in it. The height depends on the opening size and system used. But we can achieve window of height 2400 mm (8 Ft). A window higher that 2400 mm needs to be designed. 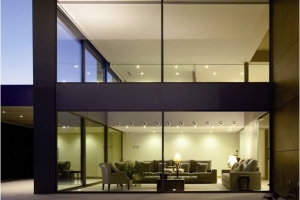 What is the difference among toughened glass,insulated glass & Laminated insulated glass? Which one glass is best and Why? Toughened glass essentially is a Single glass unit. It can be 5 mm, 6 mm, 8 mm, 10 mm, 12 mm etc. 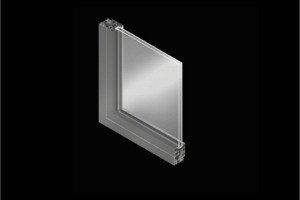 Insulated glass is a Double glass unit, which means it contains 2 Glasses with a gap in the middle. This gap can be filled with Air or Argon etc. depending on the requirement. The advantage if using an Insulated glass is that it cuts down on the heat transmitted inside therefore saving the Air conditioning losses. Laminated Glass is a Sandwich of 2 glasses using PVB (PolyVinyl Butyral). This type of glass is used as a Security glass and also to reduce Sound Transmission. We advice to using a combination of Insulated and Laminated glass in the windows to reduce Heat and Sound transmission and for safety purposes. Toughened glass,insulated glass & laminated insulated glass per sq mtr cost with mostly used glass thickness. How many types of windows surface finishes we have and and what is the cost differences in them? Fixed (P50) , sliding (P24), L & S (C125) windpw's per sq ft cost. The Pricing varries from window to window as each window is customized according to the Clients requirements. The price below is indicative cost for just the Aluminum window frame, Glass, Installation and Taxes are extra. P50 Fixed comes out to be in the range of Rs. 300 to 6oo psqft. P24 Sliding is in the Range to Rs. 800 to 1200 psqft. C125 Lift and Slide is in the range Rs. 1200 to 1500 psqft. How much db sound reduction obtained by using imported casement windows? 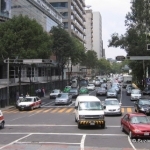 Various systems have different sound reduction index. This information is only an indication, please consult your supplier. What is the maximum door height possible in sapa door & windows? What is our section gauge length? Is flyscreen is possible with sapa systems? Yes, Flyscreen are possible in all the Aluminum systems. Flyscreen is given to inside or outside in sapa windows & doors? The system is designed according to European standards. In these, the glass panel is on the inside and the fly mesh panel is on the outside. 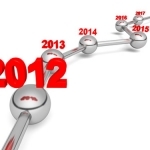 Why our prices are so high? Our prices are high as the material (Aluminum section, Hardware etc.) are all imported from Belgium. Even the eccentrics on which the windows are tightened are imported. In these systems, all the fixing, screws are hidden so that the aesthetics of the window are not affected. 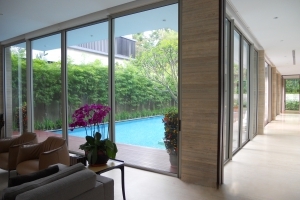 How an openable and sliding flyscreen is added in openable & sliding doors and windows? To add a flyscreen in any sort of system, we have to add additional members around the openable / Sliding doors and windows. These sections can be added on a later stage also, but we advise our clients to tell us before hand as we can assure Superior quality and we can test the system before installing on site. Is it possilbe to eleminate the part of taxes from over all costing of door and windows? As we supply a finished product, we can not eliminate any part of the tax. What is the life of powder coating which we are using on sapa windows sections? The powder coating that we use on the SAPA sections are using the power of Akzpnobel. The powder coating comes with a warranty for 10 years. What is our corner section face width for P50, P24 & C125? 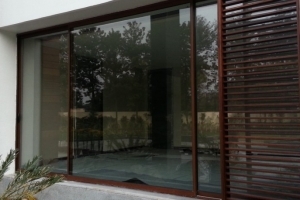 What are the advantages of using imported sapa window sections? 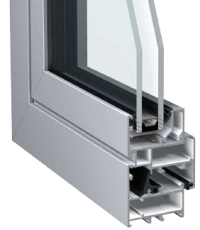 The advantage of using imported SAPA windows is that you do not only get aluminum windows, you get a complete system. This system is pre-design and tested all around the world. The system caters to all the aspects: locking, sealing aesthetics etc. How windows fixed on site? Is there any provision to prevent the window bottom track from dirt. We advise our clients to install the windows during the stage when the POP is done on the inside and the base coat of paint is applied. 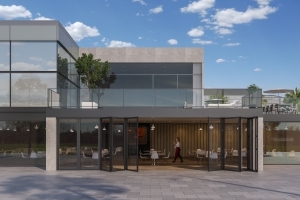 The client appoints us at an early stage of the project. 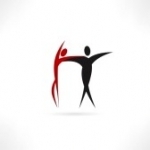 We work with the Architect regarding the design and need to the Client. While the civil work is happening on the site, we procure the material, get it powder coated and keep the material ready so that once our site is ready, we can fabricate and install on site so that the sealing is also taken care off. What is the use of drain holes given at the bottom profile external face? The drain holes are very important component of the system as it prevents the water from entering on the inside. The rain water that hits the window on the outside, it travels vertically down the bottom profiles and exits out. Preventing the water to harm the inside. Providing drain holes only are not sufficient. The window needs to be completely sealed using PU foam and silicon, so that there is no change of a leakage. What is the glass thickness limit for fix, sliding and sliding (L&S) windows? Each system that has been designed has a glass thickness limit. P50 Fixed, Openable and C125 lift and slide we can use a combination of glass upto 35 mm. P24 sliding using a combination of glass upto 24 mm. 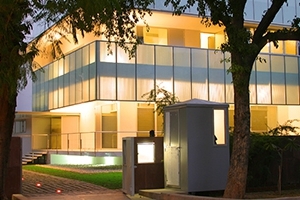 The systems are glass combination used depends on the glass size, what orientation of the building the window is on etc. What is the maximum glass weight holding capacity for sliding (P24) & sliding (C125)? 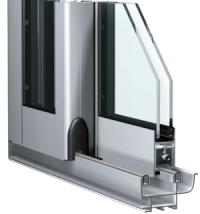 P24 sliding system can hold a glass weight of upto 200 kg. C125 lift and slide takes a load of glass upto 250 kgs. 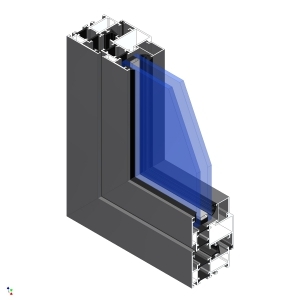 What is the cost difference b/w profiles with thermal break and profiles without thermal break? The thermal break profiles are more expansive than the profiles without thermal insulation. Type of glass you intend to use Single glass (Economical) Double glazed unit DGU (for thermal performance) Laminated glass (for safety and sound reduction ) Combination of above (Highest performance) I am not sure. Please suggest.